He had been waiting for that morning, dreading it, aware it couldn’t be stopped. An hour ago he was eating breakfast and now here he was, chasing her through Eden Park. The sun, strong for the season, bludgeoned through his fedora and inflamed his bald head. His silk trousers whisked against his skin. He heard the swish of his wingtips through the grass, the rasping of his breath. On the road nearby a brigade of cars clamored in the rush hour traffic. The throaty engines, the blaring of horns, the people determined to be someplace else. Exhaust fumes burned in his nostrils. Somewhere behind him were his own blue Buick and his driver, abandoned. He’d learned she wanted to kill him. His brain had wandered to a shadowy land, somewhere between sanity and madness. For two years he had not been right. Friends and associates would attest to the difference, a stark split between then and now. He had long referred to himself in the third person, but such declarations became more frequent; there seemed an odd detaching, as if part of him had crept outside of his skin. With the slightest provocation—just a single, specific word—his skin purpled and his features knotted into a ghastly cartoon. He spoke of a halo hovering above his head, whispering to him, marking him wherever he went. He described shooting stars only he could see, their tails imprinting bright, lingering bolts inside his closed eyes. He rambled incessantly about love and betrayal and revenge. He embarked on nationwide searches, hoping to validate every suspicion that tumbled through his mind. 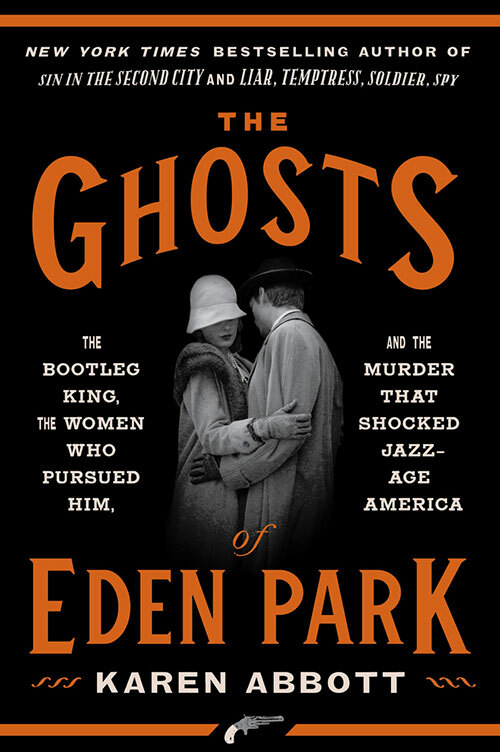 He announced, with unwavering conviction, that people from all corners wished him dead: gangsters in St. Louis, a certain woman federal official in Washington D.C., and—worst of all—his wife, Imogene, who had razed his world to the ground. His Little Imo, his truest and sweetest, his Prime Minister, his centipede, his monkey, his gem; how would he ever forget those old, dead endearments from their past? He just wished to talk to her, he’d insist. Maybe he could stop what she had set in motion. He had little time left. And there she was, finally, close enough to touch. She sprinted faster, her black silk dress like a waving flag. He accelerated, everything but the sight of her falling away. They were even now, face to face beneath a gazebo, the autumn air just beginning to darken the leaves. He heard her voice, a sound that once upon a time made him mad with a boundless and wild joy. Between them rose a glint of silver and cream: a pearl-handled revolver. The crack of the bullet shook the birds from the trees.